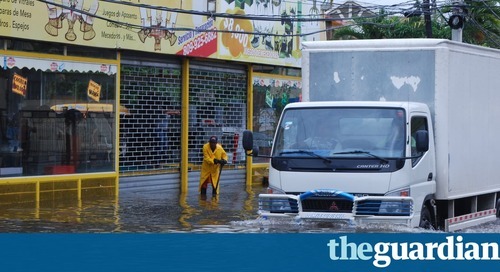 There are some parts of the country that have seen unprecedented levels of flooding so far, this spring. In fact, the extremes in weather conditions that are taking place in all parts of the country, in recent years, has made unpredictability the only weather that actually is predictable in the United States, and even the world. 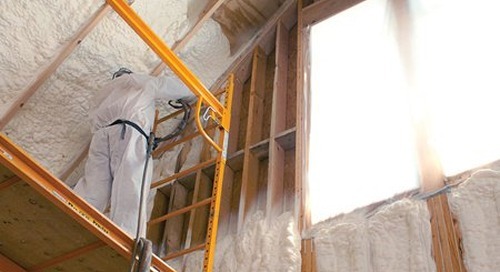 Fortunately, expanding foam like Icynene spray foam insulation, can offer up ways to help better manage extreme weather, thanks to the product’s many performance qualities. Through the late winter and well into spring, many different parts of the United States have suffered from flooding. In New Hampshire, there was an ice jam along the Pemigewasset River that resulted in major flooding at Plymouth State University. In addition, all across the Midwest and into the southern states, heavy rainfall in early May created the kind of nightmare, record-breaking flooding that has left some roads and highways completely washed out. 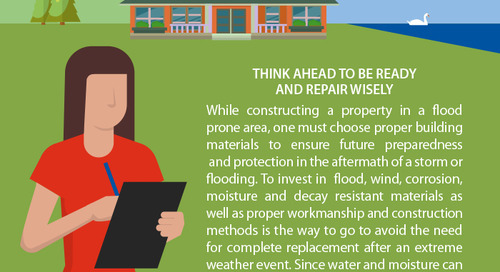 Thankfully, there are several measures you can take to help mitigate the potential damage your house might incur, during one of these extreme weather events. Visiting the Federal Emergency Management Agency website is a great first step, especially if you’ve already experienced a flood in your home, and aren’t yet sure what kind of internal damage it has suffered. Your basement may have dried out visibly, but what is happening behind the drywall and underneath the water heater? Is there mold or mildew growing? Has your traditional material insulation become water logged? Make sure to have a professional contractor thoroughly assess your home, so that you are aware of what needs to be replaced and what needs to be upgraded. The number one action you can take to reduce the chance of future flooding is to replace your existing insulation with expanding foam insulation like Icynene. Closed cell spray foam insulation is listed by FEMA as a flood resistant material, making it the ideal choice for homes in flood-prone areas. Of course, due to the multiplying extreme weather incidences that are occurring, year by year, any home can benefit from installing closed-cell Icynene foam insulation. One of the reasons Icynene is a great choice is because, thanks to its ability to expand rapidly upon application, it can fill areas that are hard to reach or just too small to fit traditional insulation into. The air barrier closed cell spray foam provides, wherever it is applied, can help to reject bulk water from entering the home. Naturally, this is the ideal solution to reduce the possibility of flooding taking place in your home in the future, however there’s no question that it’s not always that simple. Elevate. In an ideal world, you could raise your home on stilts and be done with it. Unfortunately it’s not that simple, most of the time. Although this is indeed a possibility, you may need to do something that’s slightly less cost-prohibitive, for the time being. 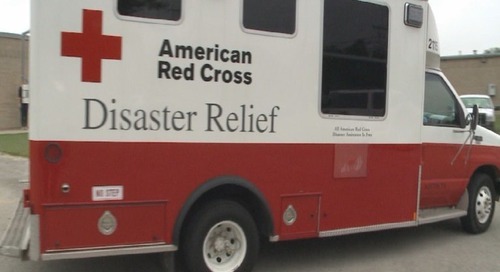 Elevating the appliances that are in danger of being damaged by flooding to at least 12 inches above the 100 year flood level, according to the FEMA website, can be a great temporary measure. Sump Pump. If you have a basement, a sump pump can be installed to remove excess water in it, or in other low-lying parts of your home. Flood Walls (Interior or Exterior). A watertight flood wall can be built either surrounding stair wells or window wells that are part of lower levels. Inside your home, a flood wall can be built to surround your HVAC unit, however it must reach at least 12 inches above the 100 year flood level, according to the FEMA website. Relocate. If you have a mobile home, relocating it to an area that isn’t prone to flooding can be the best choice for you and your family. If this isn’t a possibility, even the act of relocating your water heater, HVAC unit, washer and dryer, and other such major appliances can help prevent serious damage to the integral parts of your home in the future. 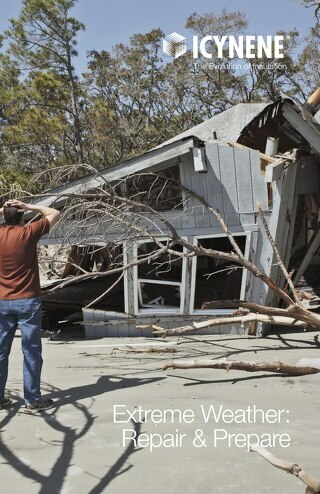 There’s no way you can be certain that your home will never sustain damage in an extreme weather event. Choosing to replace your home’s existing insulation with closed-cell Icynene expanding foam insulation, however, or any of the other possible actions listed here that you can take, can help you feel more confident about the safety of your home.  Talk to a licensed Icynene spray foam insulation contractor in your area, to find out why Icynene spray foam is best for your home, or your project.